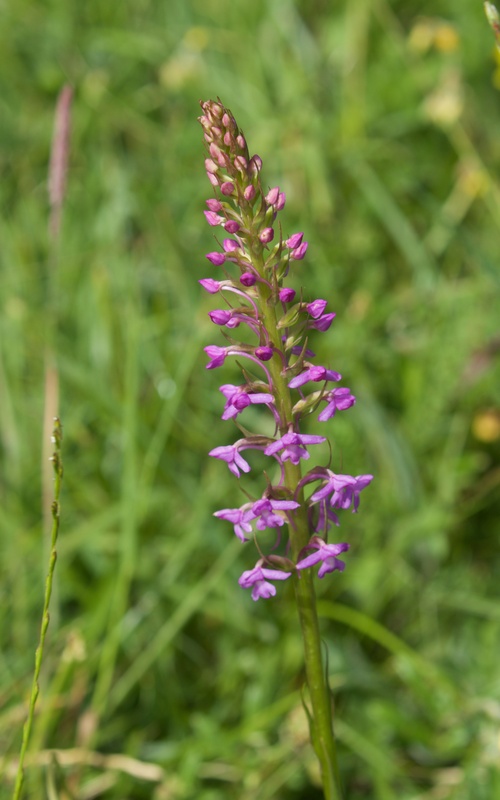 The change in the meadows at Fackenden Down over the last two weeks of June is marked; the fragrant orchids (Gymnadenia conopsea) are in their prime in mid June but tiring by the end of the month whereas the pyramidal orchids (Anacamptis pyramidalis) were emerging and now are at their best. 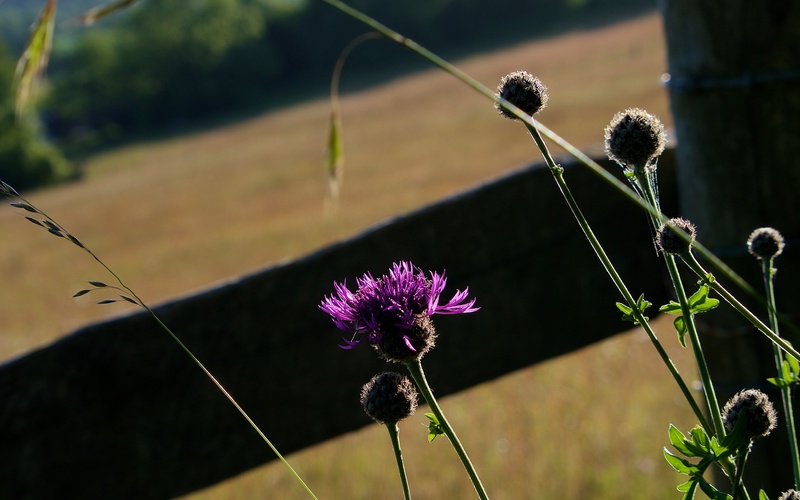 Some are a deep purple in the evening light. 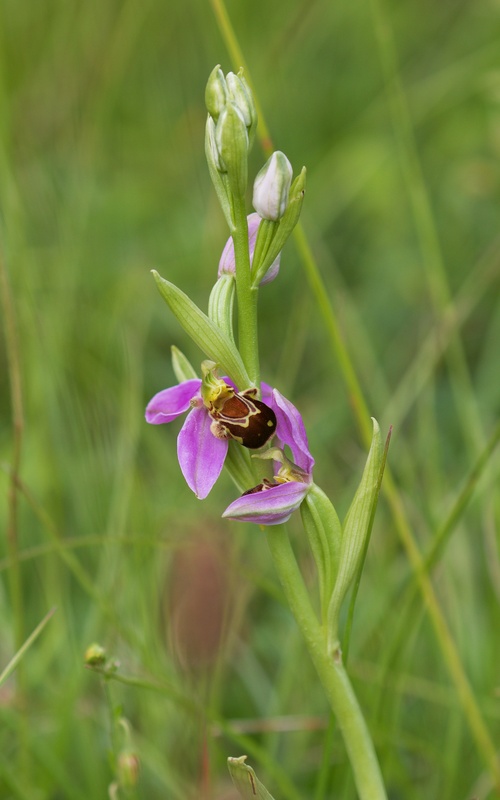 Fragrant and bee orchid (Ophrys apifera) in mid June. 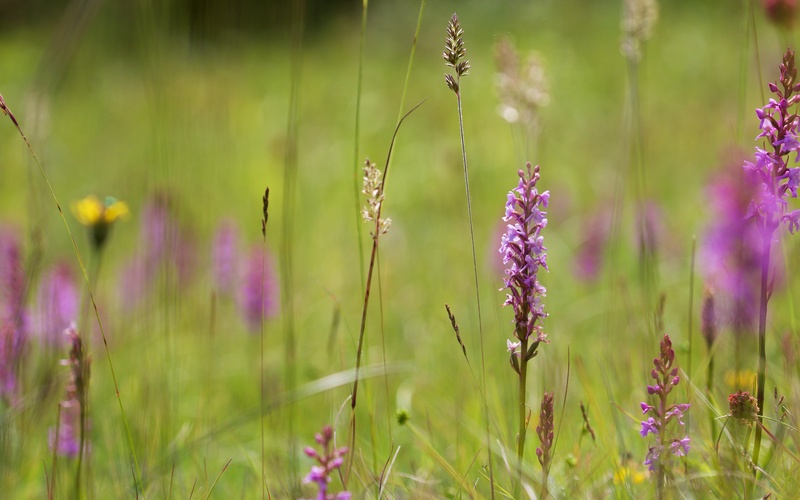 Fragrant orchids going over at the end of June. 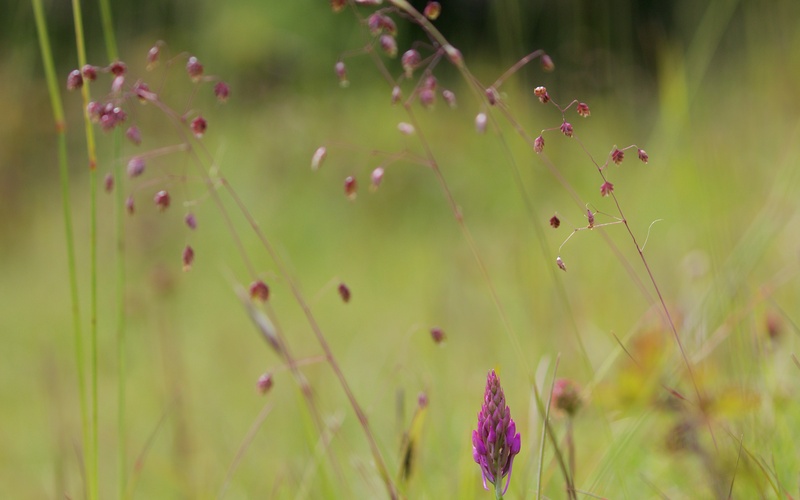 Emerging pyramidal orchid amongst quaking grass (Briza media) in mid June. 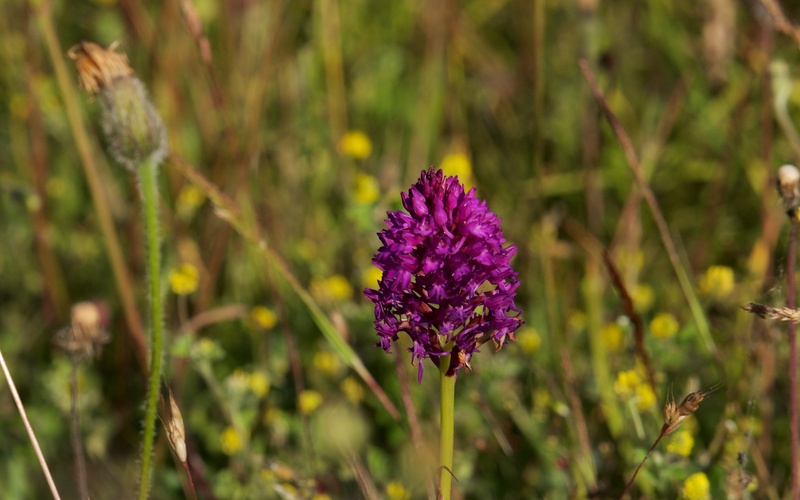 Fading pyramidal orchid in late June. 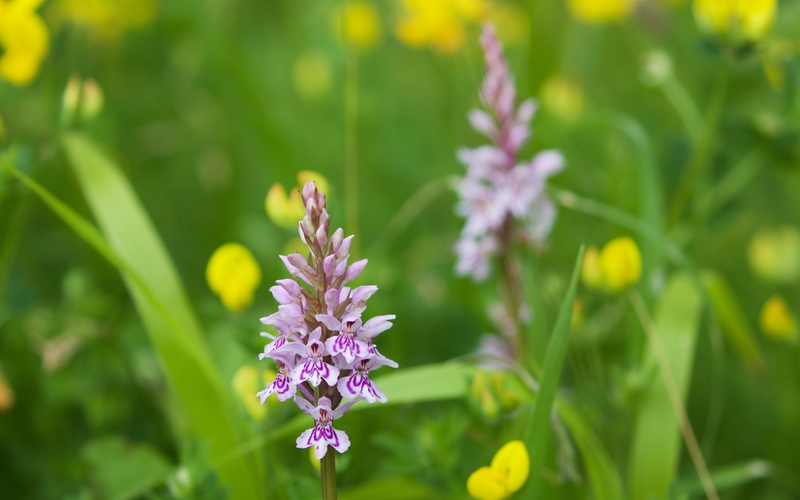 In mid June, common spotted (Dactylorhiza fuchsii) and bee orchids, marbled whites (Melanargia galathea) and brown argus (Aricia agestis) are showing off. 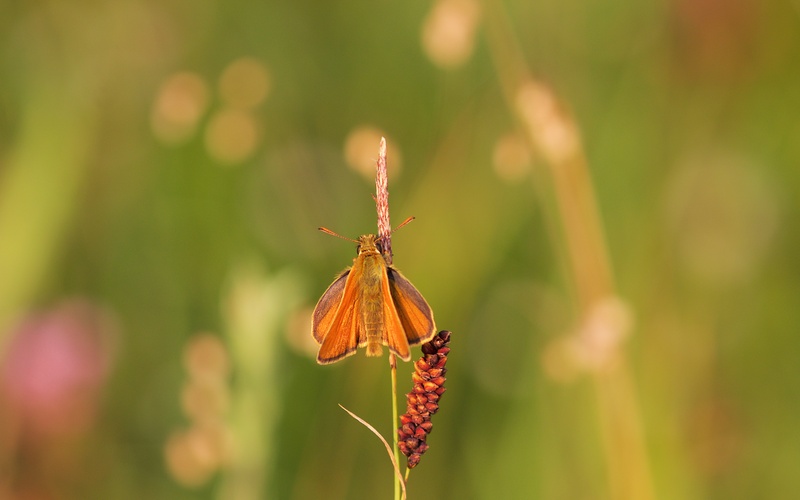 Two weeks later it is greater knapweed (Centaurea scabiosa), field scabious (Knautia arvensis), yellow-wort (Blackstonia perfoliata), small skipper (Thymelicus sylvestris), and even more marbled whites. 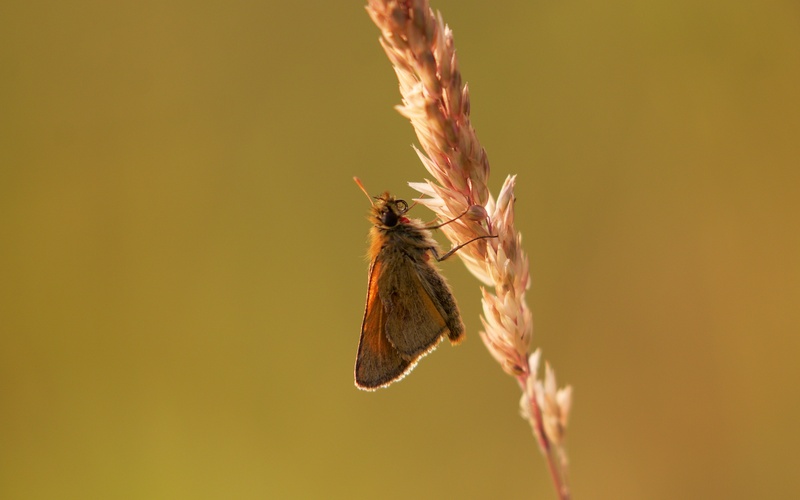 Ringlets (Aphantopus hyperantus) are hiding in the lush hedgerows at the base of the down at dusk. The wild privet (Ligustrum vulgare) is in flower, lighting up the hedgerows and, like the rest of the woody shrubs, constantly invading the downland. 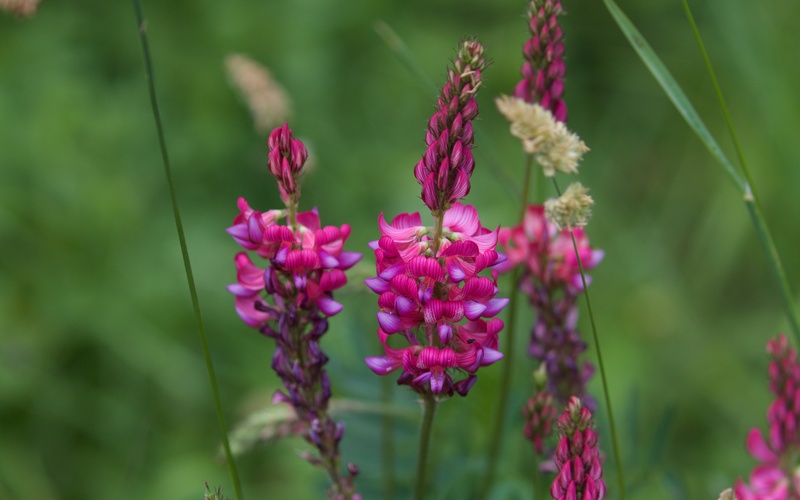 Common spotted orchids amongst bird’s-foot-trefoil (Lotus corniculatus). 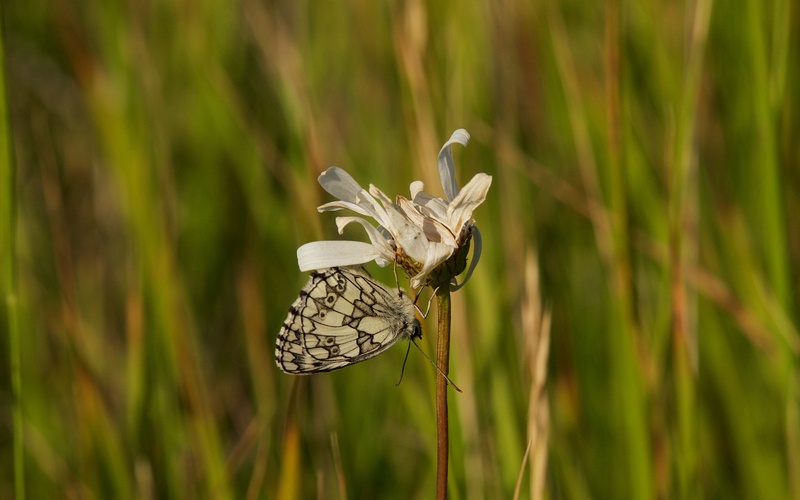 The abstract underside of a marbled white on an ageing ox-eye daisy (Leucanthemum vulgare). 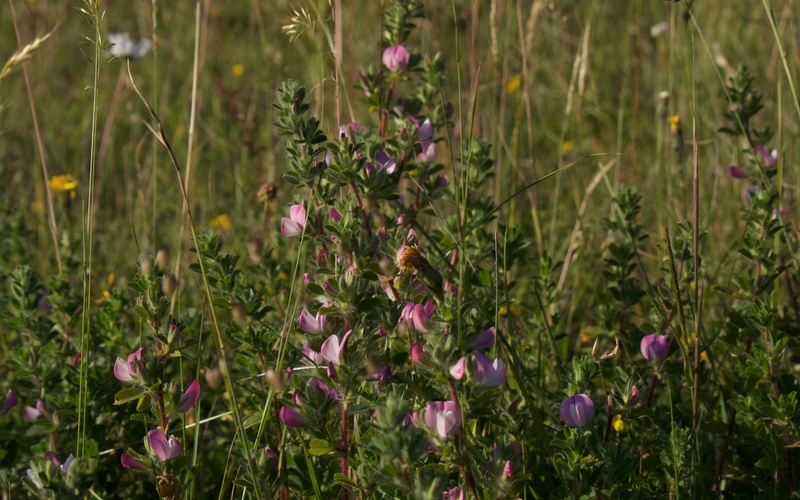 Legumes in flower: common sainfoin (Onobrychis viciifolia) and restharrow (Ononis repens). 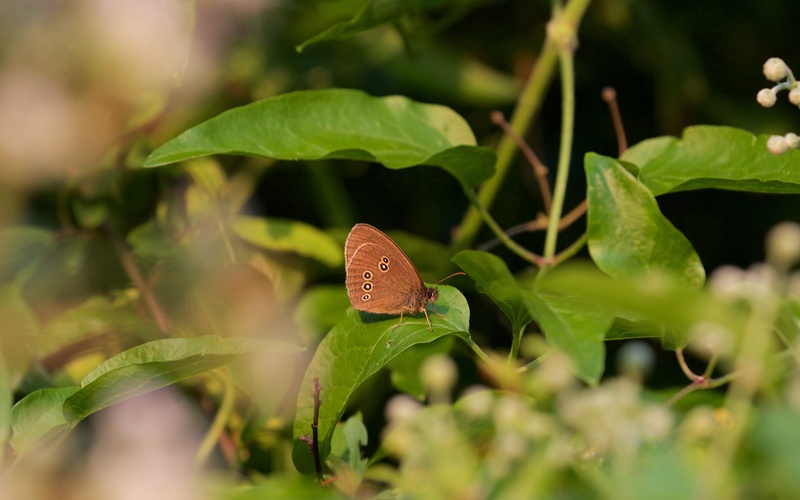 A ringlet in the dark hedgerow. 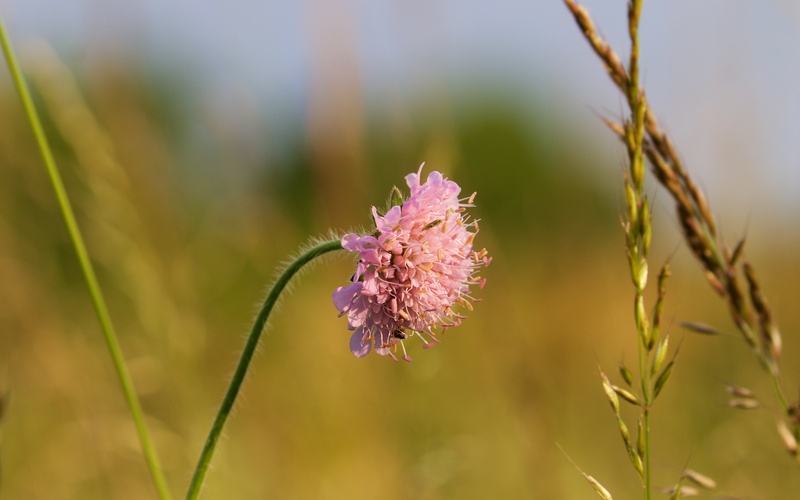 In the first days of July, the downs are losing their greens and burning to a light khaki as spring plants fade and grasses seed. 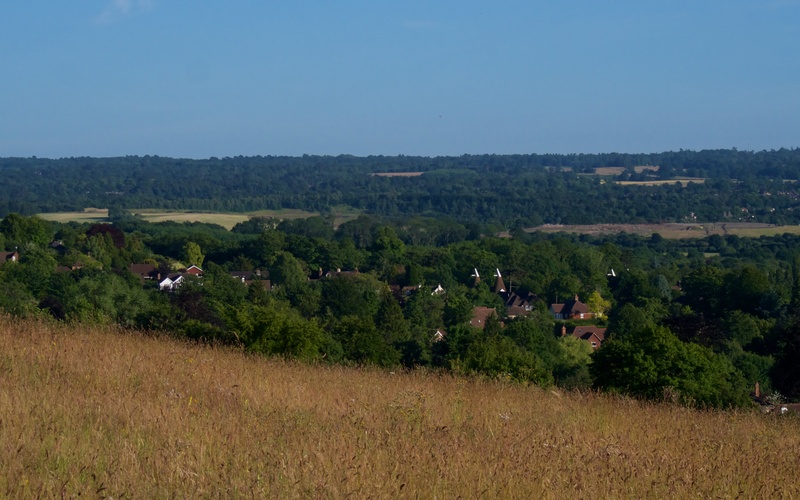 The views looking south in the evening stretch across white-tipped oasts and russet roofs; beyond the wooded Weald lays verdant. Even the rattle of the train on the branch line does not disturb the peace and the M26 is too distant to drown the dwindling downland bumblebees. The view up on the down.